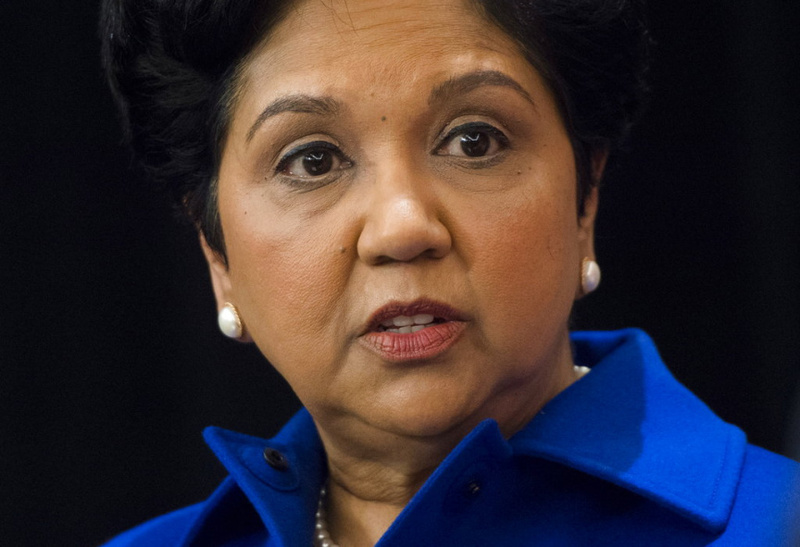 At PepsiCo, Nooyi stressed the company's move toward "good for you" options, such as Baked Lay's potato chips and Naked juices made of fruits and vegetables. Ramon Laguarta, who has been with the company for more than two decades, will take over as chief executive in October, the company said Monday. Nooyi will remain as chairwoman until early next year. "Growing up in India, I never imagined I'd have the opportunity to lead such an extraordinary company," Nooyi said in a prepared statement Monday. Overall, there are currently 25 female CEOs including Nooyi in the S&P 500, according to Catalyst, which promotes women in the workplace. Within the food industry, Nooyi is the latest female chief executive to step down, following Mondelez CEO Irene Rosenfeld last year and Campbell CEO Denise Morrison earlier this year. The industry has been undergoing major changes through acquisitions, spinoffs and mergers as big companies look for ways to drive up slumping revenues. Nooyi took over as chief executive of PepsiCo in October 2006. In recent years, she resisted call by an activist investor to spin off PepsiCo's beverage business, which has struggled in North America, from its better-performing Frito-Lay snacks business. Among PepsiCo's brands are Mountain Dew, Tropicana, Gatorade and Quaker Oats. With a veteran taking over and Nooyi staying on as chairwoman for now, company shares rose more than 1 percent at the opening bell Monday.